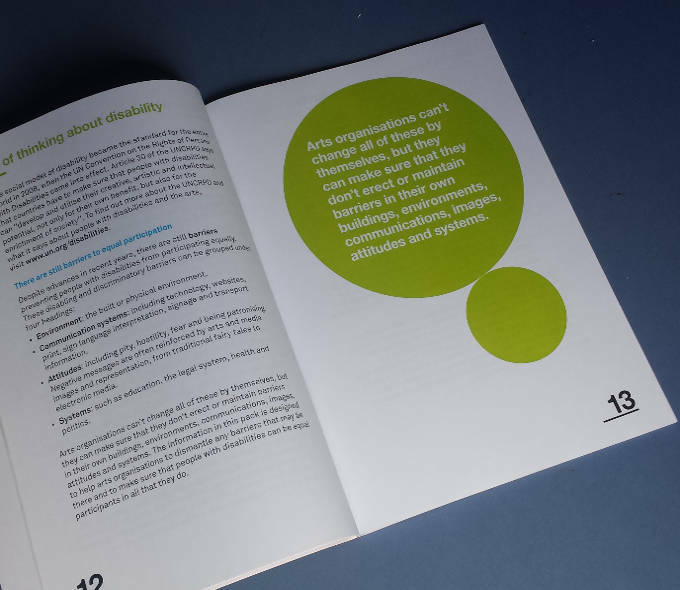 Disability Equality Training (DET) is specifically tailored for the needs of arts organisations which want to include artists and audiences with disabilities in what they do. Whether basic or more detailed, DET is participative and dynamic, and places disability firmly in the context of equality and rights. It is generally delivered by people with direct experience of disability. It differs from disability awareness training, which tends to focus on the individual impairment or condition and often uses simulation exercises (such as putting people into wheelchairs or blindfolding them). During this type of course the trainer may discuss medical details, which may be connected with specific conditions. ADI’s DET programmes, on the other hand, derive from the social model of disability and are closely related to arts and disability practice. Contact ADI to find out more about our DET programmes, including prices.